Titanfall 3 has been all but confirmed, and a recent job listing seems to validate that the mech-shooter will be getting another entry. The Titanfall games have always reviewed well, but have never broken records when it comes to sales. The first Titanfall, an exclusively multiplayer shooter, was only released on Xbox One and PC, while the sequel, Titanfall 2, came out during a less than ideal time. Its release was sandwiched between that year’s Call of Duty and Battlefield, leaving it to be forgotten. 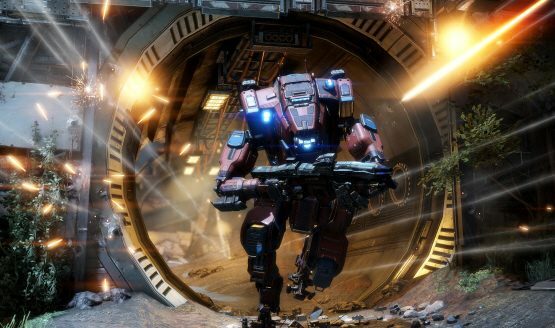 But now, EA has a slew of Respawn Entertainment job listings available online, pointing to the fact that a new Titanfall is coming. Around a dozen of the job postings on the site are in reference to Titanfall, with most of them being art related. Now, this doesn’t necessarily mean a third entry is coming, as the posting doesn’t refer to that, but due to the amount of job listings, one can assume it won’t be a mobile game or anything like that. This has not been confirmed and technically a third in the series hasn’t officially been announced, but it’s not a stretch to imagine we’ll get Titanfall 3 at some point. Developer, Respawn Entertainment has multiple games in the works, including an upcoming VR title and something Star Wars related. We haven’t seen many details pertaining to these games either, but hopefully we’ll find out more in the coming months. If Titanfall 3 is a thing, let’s hope it releases during a more ideal time, so it garners more commercial success.